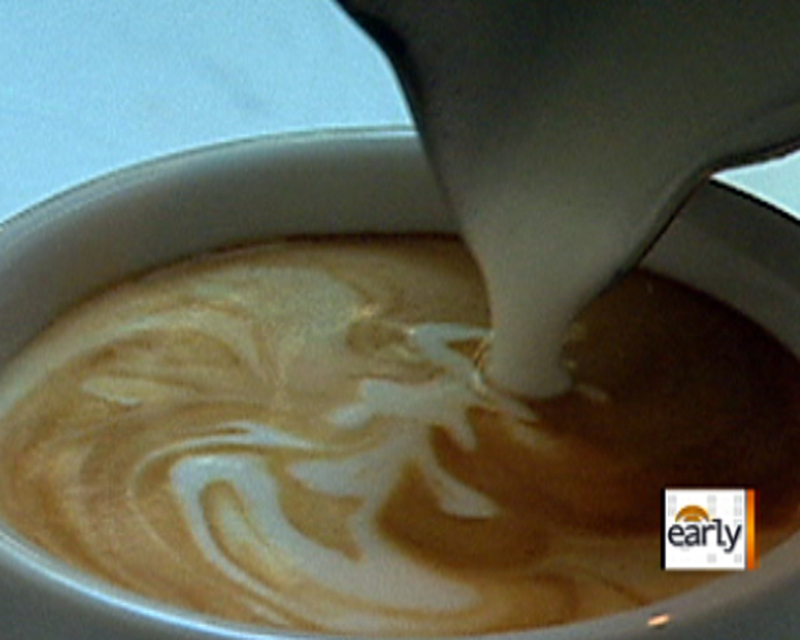 Climate change pushing coffee to extinction? Millions of people enjoy a cup of coffee first thing in the morning, but a group of scientists says that daily ritual could be on its way to extinction. The driving force behind the new information is coffee giant Starbucks, reports "Early Show" contributor Taryn Winter Brill,. One of its lead scientists says global warming is threatening the world's coffee supply -- and that news isn't being well-received by coffee drinkers around the world. On Friday, the director of sustainability for Starbucks, Jim Hanna, said climate change is threatening the world's coffee supply, telling the Guardian newspaper, "What we are really seeing as a company as we look 10, 20, 30 years down the road -- if conditions continue as they are -- is a potentially significant risk to our supply chain, which is the Arabica coffee bean." "Coffee likes a pretty narrow range of temperatures, and one of the hallmarks, really, of climate change will be increased extremes in temperatures," Todd Sanford, a climate scientist from the Union of Concerned Scientists, said. Scientists say climate change will cause heavier rains, longer periods of drought, and higher rates of insect infestation in the tropical areas where coffee is grown -- factors that could have a devastating effect on future coffee production. "Those of us who enjoy our morning cup of coffee, we may not always realize that future climate change due to extreme temperatures, increased precipitation, really could in some ways put that at risk," Sanford added. Increased carbon emissions have been linked to global climate change. So for coffee lovers, the idea of waking up without their morning brew could be a wake-up call to lead a more eco-friendly life. This is the second time in less than a month that scientists have warned that climate change threatens a favorite food item. A few weeks ago, we were told it will be too hot by the year 2050 to grow cocoa beans in much of the Ivory Coast and Ghana, the world's main cocoa-producing countries.